The first trophy of of the ’08/’09 Table year is ours! 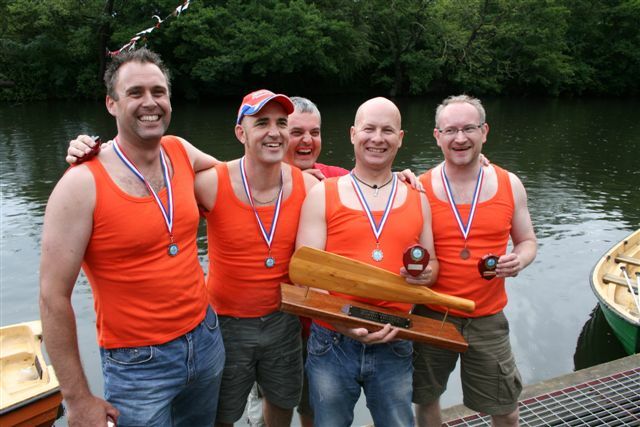 Long Eaton’s crack(ed) team of Chairman Dave, Area Vice George, Nigel, and Ramsey won the covetted Derby Merlin Regatta on July 6th. After winning all their heats, Long Eaton’s A Team were after some extra inspiration to take into the final. Donning their Village People shirts, and to the tune of “In-the-Navy”, Long Eaton’s finest cruised to an easy victory.